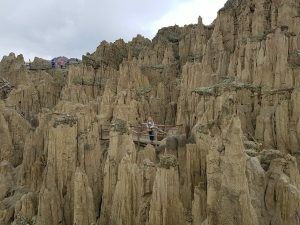 TravelManagers’ Camilla Manson found the bizarre formations of the Valle de la Luna (Moon Valley) near La Paz in Bolivia are well worth a visit. 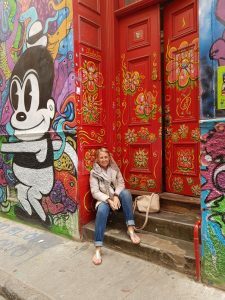 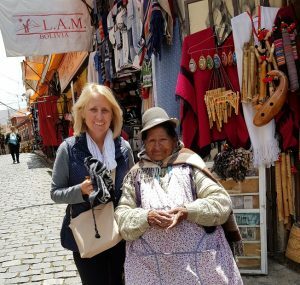 PTM Camilla Manson’s recent Bolivia and Chile famil included time exploring the vibrant oceanside city of Valparaiso. 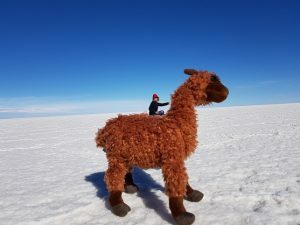 Bolivia’s stunning Salar de Uyuni provided PTM Camilla Manson with the opportunity to ride a llama – or so it would seem, thanks to a very patient guide/photographer.